Christopher Cross’ golden era was between ’79 and ’85 when he released his debut album and ‘Arthur’s Theme’ which in 1981 garnered him five Grammy Awards in one night including best record, song, album, and new artist. Only Norah Jones has managed this as a solo artist since. Cross’ career started to decline when he released his third album, Every Turn Of The World, in 1985 which didn’t make the top 40. Since then, Christopher Cross has released a few more albums that have gained some critical acclaim and he has managed to stay on the road averaging one hundred shows a year. A new studio album was released in 2011 entitled Dr. Faith. Christopher Cross wrote Arthur’s Theme with Burt Bacharach! 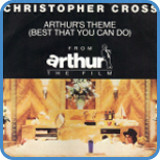 Christopher Cross wrote ‘Arthur’s Theme (The Best That You Can Do)’ for the motion picture ‘Arthur’ starring Dudley Moore and Liza Minelli. The song manages the seemingly impossible as it captures the story of the entire film in less than four minutes. ‘Arthur’s Theme’ was co-written with Burt Bacharach, Carole Bayer Sager, and Peter Allen. The song was an attempt to write the best song in the world using the pocket symphony approach. This approach had been previously attempted by The Beach Boys, The Beatles, Peter Gabriel, The Doobie Brothers, Toto, and Michael McDonald. The massive production of ‘Arthur’s Theme’ should be studied by aspiring producers to find out how to blend a lot of instruments. In doing so, they would notice how the various instruments constantly follow, replace and double up counter melodies, in turn supporting the vocal melody. 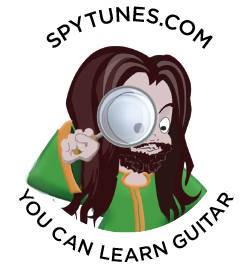 Spy Tunes’ version takes the massive production and applies it to just one guitar. ‘Arthur’s Theme’ is a feast of chord progressions, extensions and clever key changes. In the master course, we do just that. 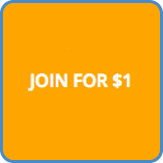 We learn it note for note using complete TAB, including the electric guitar solo! Go to video lessons: Arthur’s Theme chords. For complete lyrics, go to Arthur’s Theme lyrics.